Two Nigerian celebrities celebrate their birthdays today. 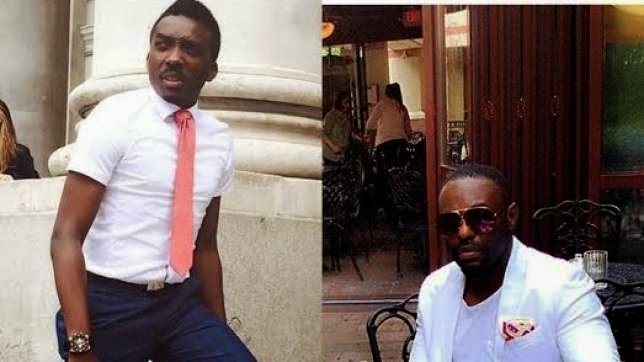 Nigerian celebrity actor, Jim Iyke and Comedian Bovi Ugbonma add another year to their ages today September 21, 2014. Nollywood actor and business man, Jim Iyke is a household name in the Nollywood industry. Jim Iyke has featured in movies like 'Power of a Kiss' Fugitive' Games Men Play' and others. The actor is currently in a relationship with Ghanaian actress, Nadia Buari. Nigerian comedian and actor, Bovi Ugbonma began his career in April 2007, when he featured in the sitcom Extend Family, which he wrote and produced. He once participated in Nite of 1000 Laughs organized by Opa Williams. Bovi has worked alongside reputable comedians such as Okey Bakassi, Julius Agwu, Basket Mouth and others. He has also organized his own shows and is currently preparing for the much anticipated 'Bovi Man on Fire'. Happy birthday to Bovi and Jim Iyke.